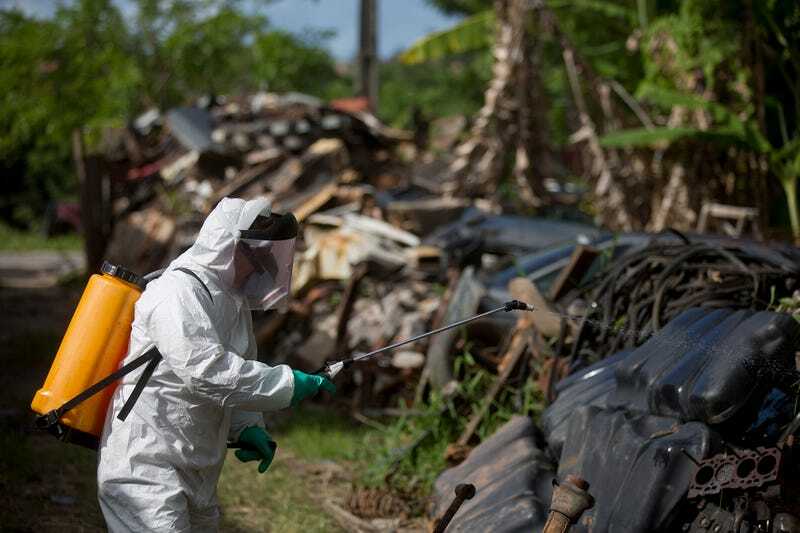 While the Zika Virus outbreak has been raging across Central America, new studies suggest that the virus might have arrived in Brazil much earlier than previously thought: in 2013. First detected in May 2015, experts believed that the virus might have arrived with an increase in travelers coming to the 2014 World Cup or Va’a World Sprint Championship, but in a study published in the journal Science, researchers now believe that it arrived some time between May and December 2013. When the team looked at airline figures, they found that the virus’s introduction correlated with an uptick in passengers, leading them to believe that the current outbreak was the result of a single carrier. Researchers looked at the virus genetics and mutation rates to determine the figure. As part of ongoing surveillance by the Brazilian Ministry of Health, national laboratories, and other institutions, we used next generation sequencing to generate seven complete ZIKV coding region sequences from samples collected during the outbreak, including one from a deceased newborn with microcephaly and congenital malformations collected in Ceará and one from a fatal adult case with lupus and rheumatoid disease from Maranhão State. Comparing the strains in Brazil to other known cases of Zika, the team believes that it shares a common ancestor with a strain found in French Polynesia in November 2013. Moreover, they found that this particular outbreak has more in common with other strains found in Asia, rather than those in Africa. The worrisome takeaway from this is that the Zika virus has had years to circulate throughout Brazil and neighboring countries, and it did so undetected: this is important, because as we’ve seen in other major outbreaks - such as Ebola in 2014 - early detection is a critical factor in slowing or stopping an outbreak before it gets out of hand. Since its introduction, nearly 30,000 cases of the virus has been reported in the country. It is believed to be the cause for an uptick in cases of microcephaly and congenital abnormalities in infants born to mothers with the disease.